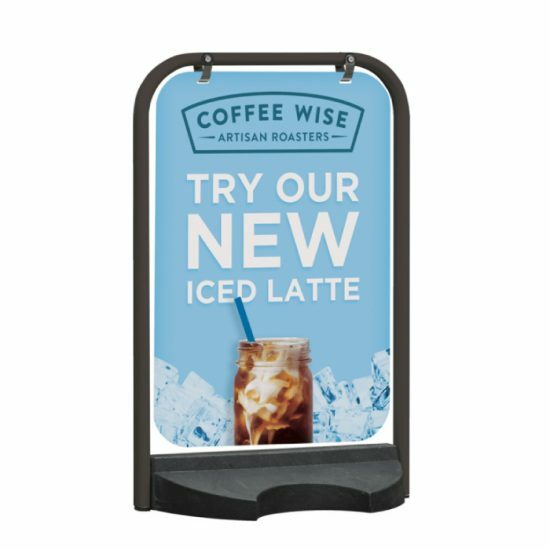 If you are looking for Pavement signs then look no further we have a wide range of different A-boards from permanent graphics to chalkboards. 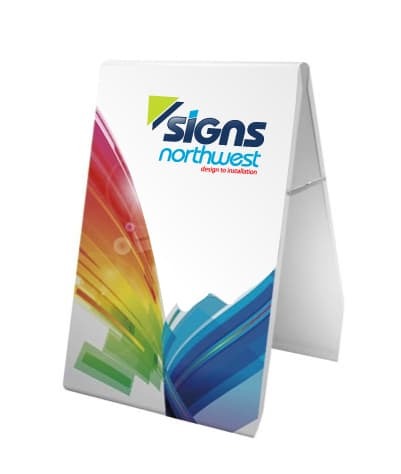 We offer high quality pavement signs built to stand the forces of nature, with easy handling and stability as standard. 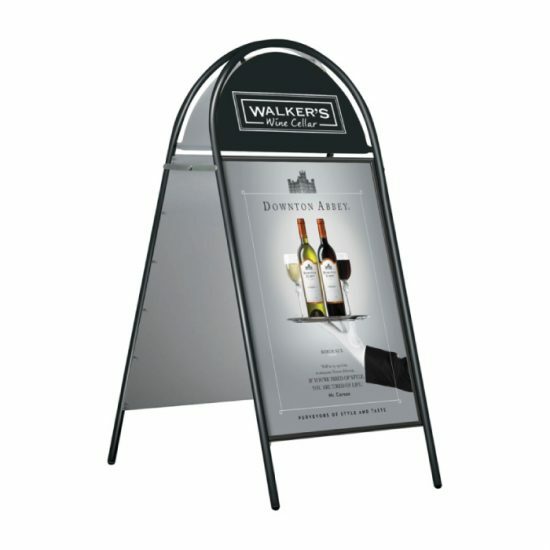 The options available for A-Boards are enormous and we are sure that we have something that will meet your exact needs. 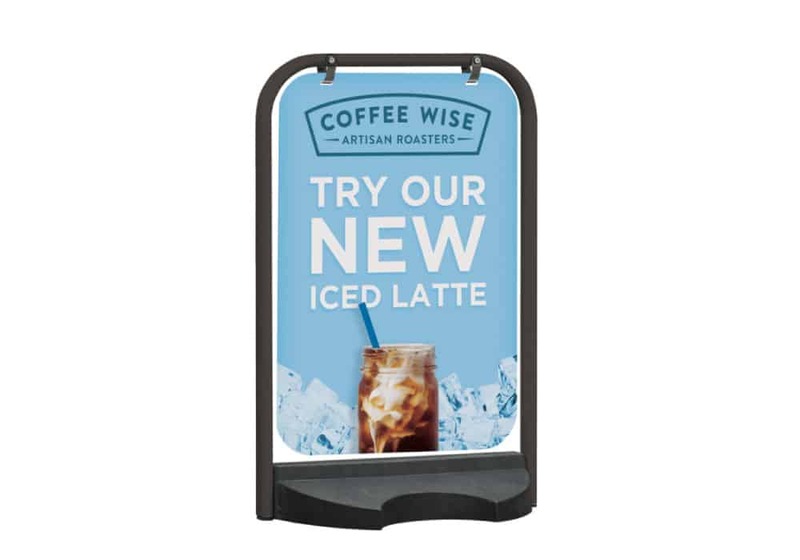 We have a range of standard sized A-boards to cater for all budgets or we can hand craft beautiful boards with colourful designs that extend the reach of your brand. 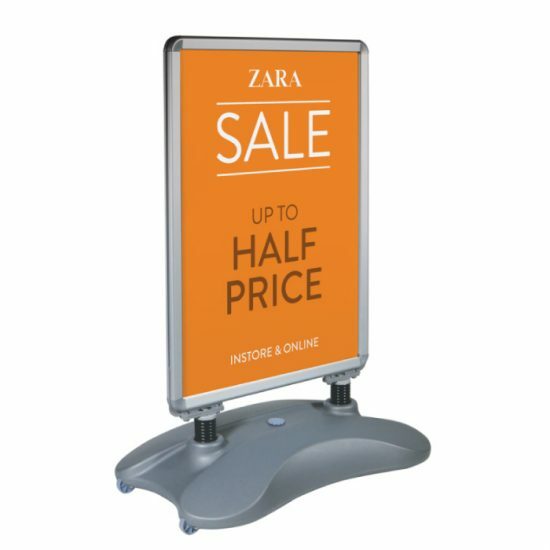 An A-Board is a simple and very effective method of outdoor pavement or indoor foyer advertising. 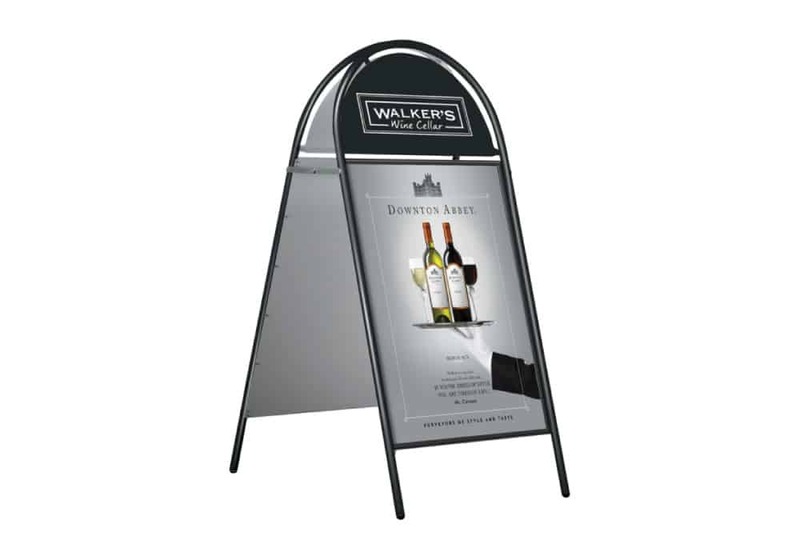 All our A-Boards are manufactured from a high quality powder coated tubular steel frame with welded metal panels. 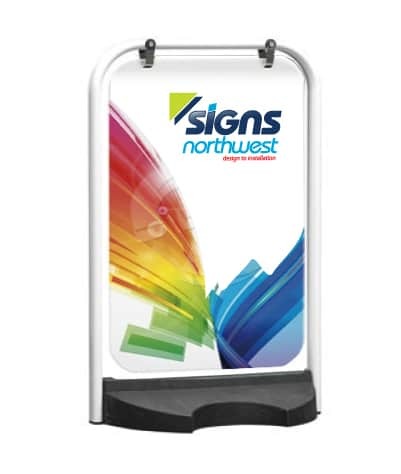 We provide graphic options such as PVC magnetic covers to enable posters to be fitted and protected from weather or alternatively vinyl graphics can be applied directly to the metal panel. Also a chalk board film can be added to write your personal message on. 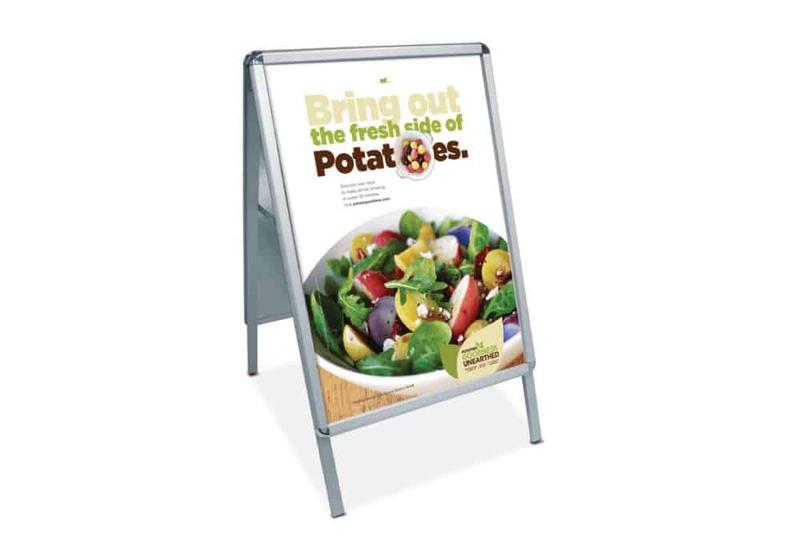 For some of our clients who only require a simple advertising board there is our low Budget Board line. 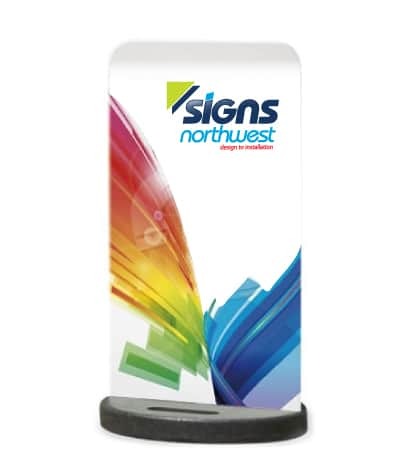 With its contemporary design your graphics or company logo will definitely stand out. 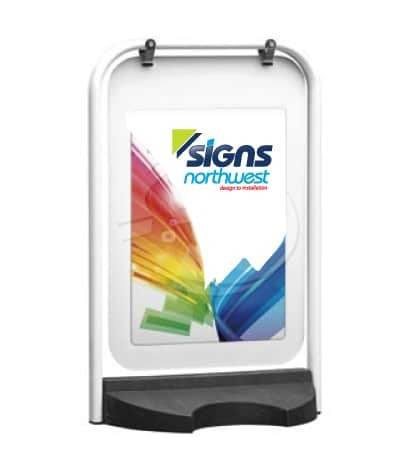 Water base freestanding signs are very popular. 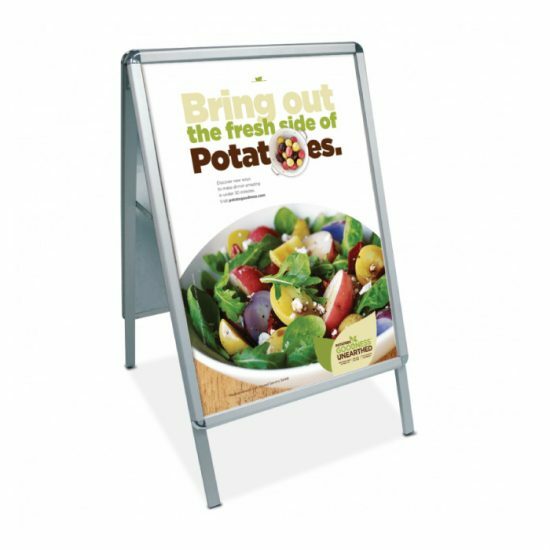 They are heavy duty 30” x 40” or 40” x 60” panels with poster holder frames which are supported by high tension springs to deflect wind and the base can be filled with sand or water, wheels attached to the base make moving from one place to another really easy and effortless. 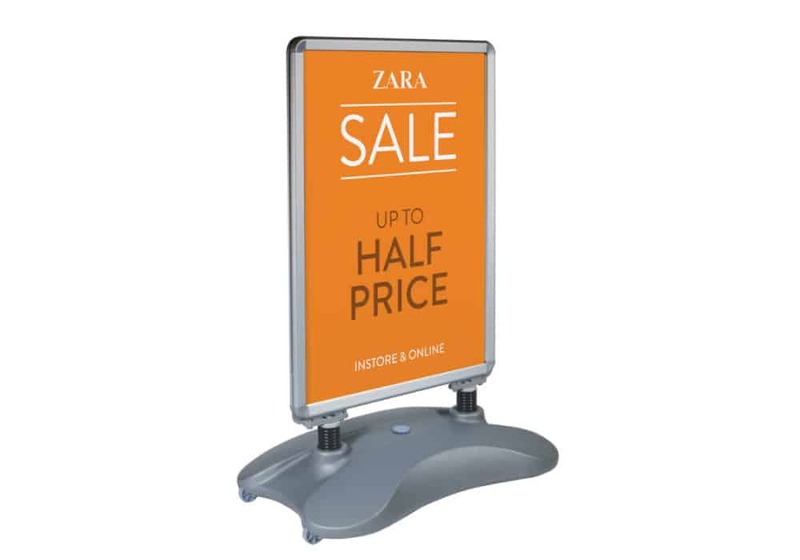 This range is perfect for large forecourts and open areas.